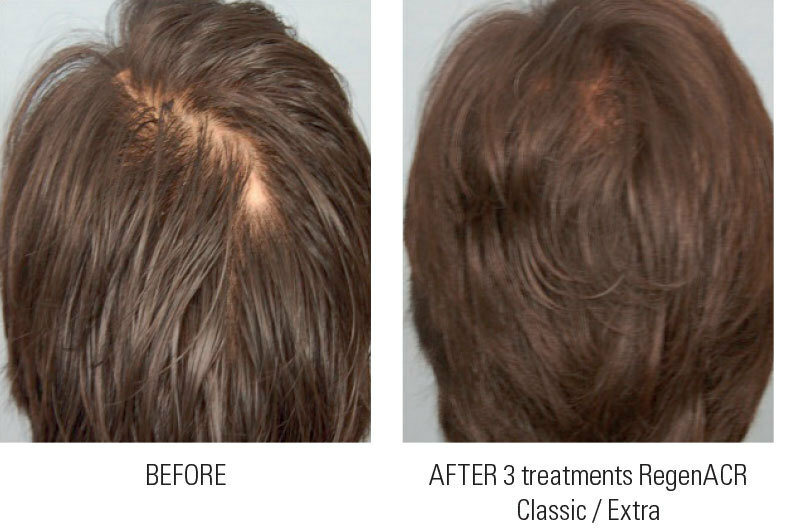 We offer Platelet Rich Plasma (PRP) treatments and medications; we will refer for hair transplant surgery. Platelet Rich Plasma (PRP) is taken from a patient’s blood sample, then injected into the scalp in the affected areas. PRP contains platelets that release growth factors to start cellular regeneration of the hair follicles, increase blood supply and enhance follicle cell proliferation. The result is natural hair growth that is stimulated to produce stronger, healthier, hair follicles. Three treatments done 3 weeks apart is a common starting point, and progress is monitored at 3 and 6 months after. Maintenance treatments are recommended. We use the U225 Intradermal Injection Gun which allows for consistent and even distribution of injections and is more comfortable than manual injections. 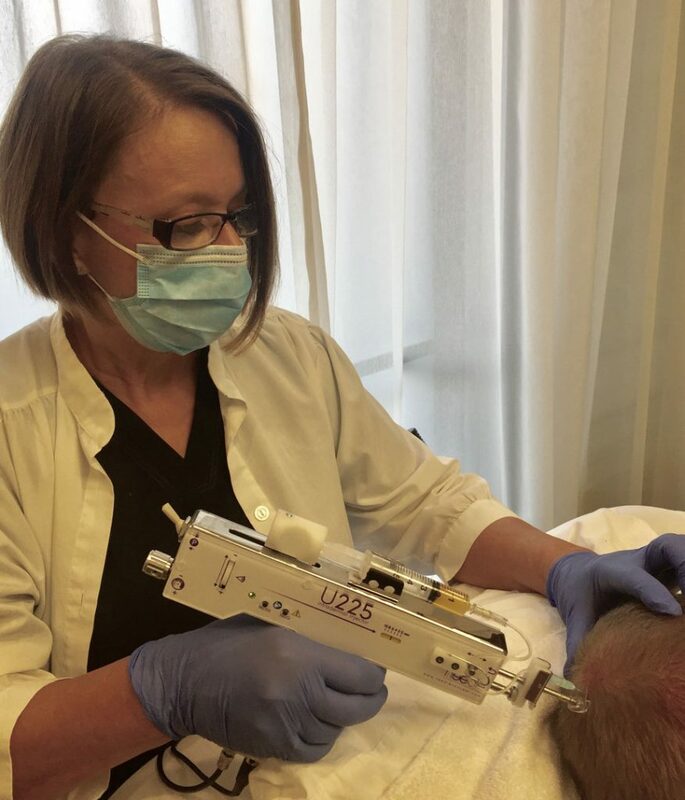 PRP treatments, on their own, or in association with medications, are indicated in the treatment of androgenetic alopecia and alopecia areata. Hair loss, also known as alopecia, is a common concern for men and women. Hair loss treatments depend upon the underlying cause, one of the most common being androgenetic alopecia, also known as male pattern balding and female pattern hair loss. Alopecia areata is an autoimmune condition that, although not as prevalent, is regularly seen by our physicians. Male pattern balding includes hair loss in the temples and crown, which may progress to involve the frontal, mid and top of the scalp. Between 30% to 50% of men may experience androgenetic alopecia between the ages of 30 and 50 years. Alopecia areata begins during adolescence and early adulthood and may present as a number of circular patches of hair loss on the scalp, and progress to complete hair loss. About 2% of the population is affected.